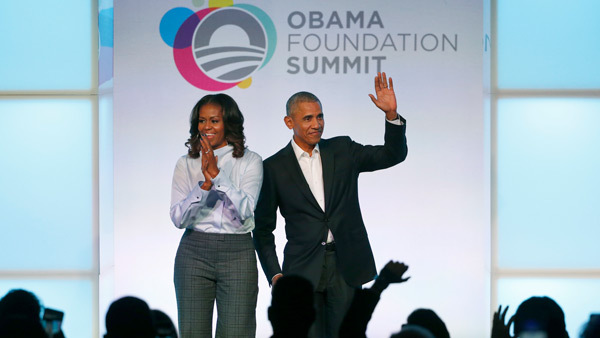 WASHINGTON -- The National Portrait Gallery has unveiled portraits of former President Barack Obama and former first lady Michelle Obama. Barack Obama's portrait was painted by Kehinde Wiley - an artist best known for his vibrant, large-scale paintings of African-Americans. For Michelle Obama's portrait, the gallery commissioned Baltimore-based artist Amy Sherald, first-prize winner of the Portrait Gallery's 2016 Outwin Boochever Portrait Competition. The paintings were unveiled Monday at the gallery, which is part of the Smithsonian group of museums.